For me today is the last day of the year as I write this note at my hotel in Los Angeles before boarding a flight tonight that will cross the dateline and see me miss New Years Eve, i.e. we leave on the 30th and arrive in Sydney on the 1st. Here is a summary of the Sefirot Freestyle Funds performance since inception on 23 December 2014. The fund has essentially side stepped the volatility of the broader S&P500 and more or less delivered the same nominal performance. For me 2015 was frustrating but I still maintain we are due further dislocations in the market and I intend to be on the sidelines during this time. I am going to put forward a controversial theory that came to mind. Working within a neuroscience framework we know that people release hormones like cortisol (related to stress) and serotonin (related to happiness) within a normally distributed range. Then we have some people, call them outliers who either produce too much or too little of these hormones. Think here of your ADHD or extremely nervous trader. I recall more than a decade ago reading Nobel Laurette Prof Robert Shiller’s book “Irrational Exuberance” where he questions the volatility in the stock market prices, when the dividends driving valuations move much less than the price. His thesis is that there must be more to valuation than simply discounting future dividends. The volatility ingredient in the mix is the emotional context of the trader/investor. I would like to suggest that perhaps the volatility in the markets is simply an expression of the hormonal chemical reaction in the trading population. 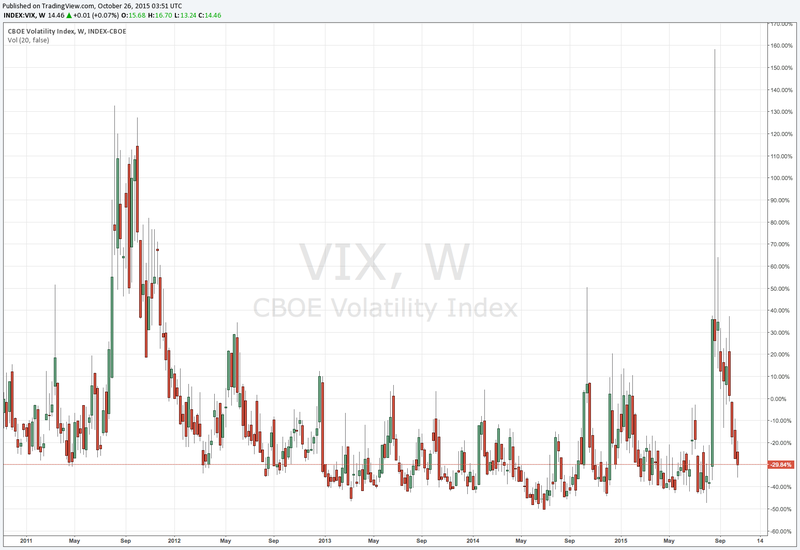 Here is a 5yr chart of the VIX (volatility index). As someone striving for intellectual honesty I am amazed at how we confront moments of truth when we least expect it. In roughly 2 weeks time we will be lifting the lid of our new startup and start talking openly what we do and why we think we are bringing a fresh approach to an old problem. The story behind the subject starts yesterday with me spending most of the day with a friend and advisor who occupies a unique position in the market we are looking to compete in. Because of my friends industry knowledge I was more inclined to consider what he had to say. Vladimir and I have spent many hours discussing our business model and a few weeks ago we finally locked down our way forward, or so we thought. Enter friend X and his idea of a 180 degree switch to our business model with the prospects of making more profits in a shorter time frame and the result is one helluva confused set of co-founders. So Vlad and I started talking but our heads were spinning we just couldn’t get a grip; we launch in 2 weeks and here is a proposal that will completely change the message and approach we plan to launch with. This is when intellectual honesty and the genuine pursuit of it comes into question. Vlad and I really gave this new approach very serious consideration. We have finally decided to stick with our intended value proposition which might not be as profitable in the short term, but it represents our value system and the idea of disrupting the market with genuine innovation and giving as many people as possible the benefit of this innovation and giving us much lower exposure to conflicts of interest. This leaves us as both richer and poorer, which aligns nicely with my Kabbalistic and Jungian principles of uniting opposites. As the CEO of a software startup that will be launching in the new year it is frustrating talking to interested parties about what we are doing, as the first question they ask is can I see how it works. Unfortunately this is currently not possible as we don’t yet have a beta version for people to play with. However, the one thing that keeps my spirit soaring is watching each line of new code added to our GitHub repository. Just like you build a beautiful building one brick at a time, so do you build beautiful software, one line of code at a time. It has been way too long since I posted here, however I am currently involved in a love affair with Twitter. I have decided to simply go with the flow and not fight too hard as I know my infatuation will fade and I will find the will and time to spend a reasonable amount of time putting some thoughts down in a more coherent fashion. To the point of this post, I am super proud of the way the portfolio is performing. I have managed to sidestep most of the current volatility. I was hoping to get a little long the market following a further washout. I don’t think it is over yet, but this bounce may continue some. I remain wary of the markets from both a valuation and Minsky instability moment. Here is a picture of my handiwork. We have been consulting as data scientists to an insurance company for the last 3 -4 months. 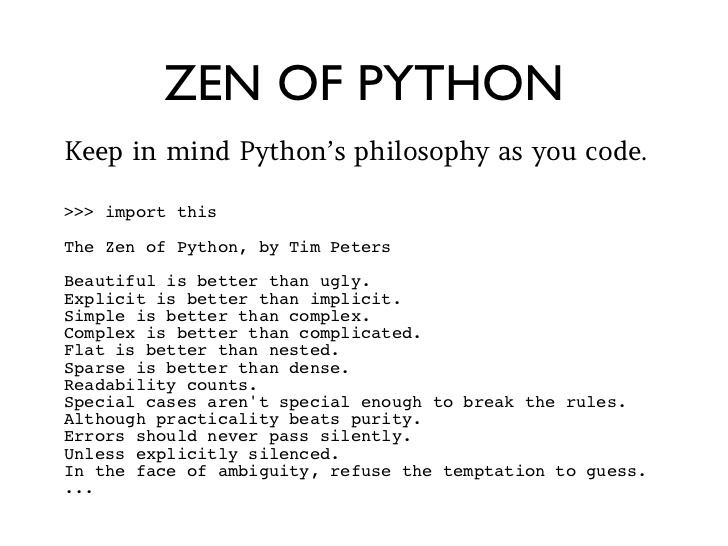 We have taken their raw SQL outputs and programmed a lot of business intelligence in Python code. We were done with our analysis about 4 weeks ago, however the client wanted to see the results in Excel so we were forced to jump through a few extra hoops and get our native python code to talk with Excel and output the magic. This all works fine – but!! The client had to present our model to their Exco this week, and things didn’t go according to plan. For some reason they seem to do the odd manual data override on their system which comes out of their SQL report in an incorrect date format, which is screwing up our model’s output. A good lesson in computer programming, you can be so near but so far.